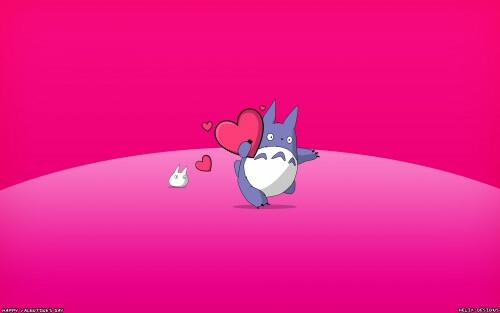 My Neighbor Totoro Wallpaper: You're stealing my heart! Minitokyo »	My Neighbor Totoro Wallpapers » My Neighbor Totoro Wallpaper: You're stealing my heart! Basically, I agree with everything Maple said (except that it doesn't burn my eyes). Love the idea! one of the best i thnik ! sooooo cute >w< Thanks for sharing!